This huge inflatable is the ultimate interactive inflatable. 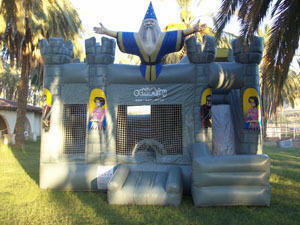 It has a bounce area, an obstacle maze that leads to a rope climb and ends with a slide to exit. This Bounce has an inflatable step. This Bounce has an inflatable step.